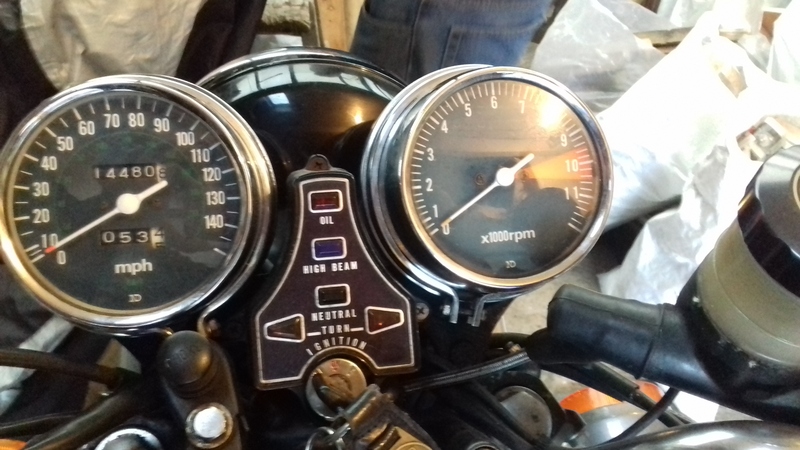 Would like to fit the original airbox if I can source one, still need to sort the fuelling and ignition then give a little bit of a touch up in some areas. Possible full strip down over the winter depending upon time availability. Nice, looks like it's in pretty good shape too...needs much doing to it? 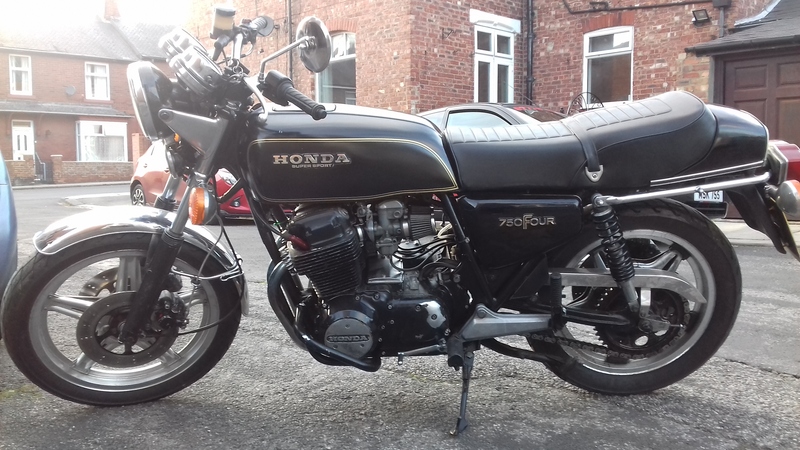 Its in better nick than I remember so I'm happy, need to look over the ignition system as its intermittently on 3 cylinders (assumed duff fuel but even fresh hasn't improved, plugs out showed intermittent missing) working my way back through the leads to the coils then the points as I type! Following that I'd like to see if it's been set up right for the pods if I can't source an original airbox that is. The tank is a little rusty too so i'm either going to refurbish it fully or replace (rust aside the rattle can paint job is irritating me enough to warrant this). Might be the carbs, should be easy to fettle presuming they are jetted ok......3 out of 4? pretty sure these run 2 coils, ie, one coil to two plugs....Sorry, don't want to make assumptions based on a 400/4.... which cylinder isn't getting hot? Good news, on all 4! Loose connection from points to the coils (individual wires for some reason, wiring has definitely being bodged so I'll give that a through going over). I had one of those bikes back in 1979 and modified it after I went to the TT in 1980. Will be watching this restoration as my one was wiped out back in the early '90s. Going by some scratching on the plastic work I get the idea that this would have been the original decal of the bike. 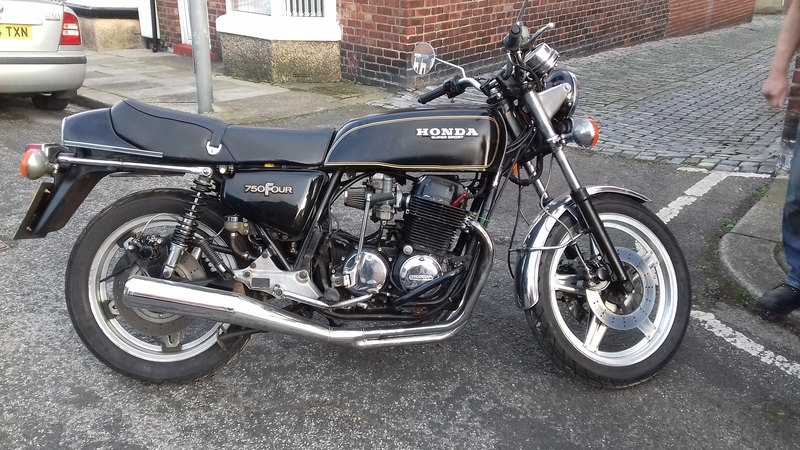 I actually quite like that scheme more so than the dull browns and blacks most F2's are, going by the overall condition of the bike I am drawn to a standard resto even though I was hoping to go for a silver semi original look, still unsure at present. 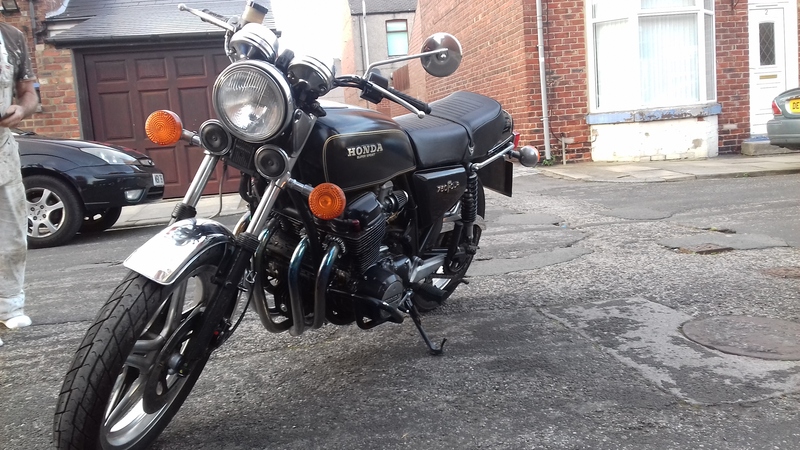 @Fizzer your bike was a big plus for the F2, I actually used to dislike them looks wise compared the K series that my dad owned (think its the comstars), but I really liked how yours looked especially as it evolved a more sporting look. I even recall you had the finned points cover? My dad has been looking all over for his spare one from his F1 836 he had but thinks he may have given it to the rag and bone man some years ago, shame really I prefer them. It looks in a decent state too, so I hope you can enjoy period modding it to your taste and riding it plenty too. Definitely the sort of bike to have as a second bike contrast to something modern and soullessly capable. Stemer This post is not being displayed . Great looking bike Moxey. I'm thinking of getting something similar as my second bike. Nothing I've stumbled upon got me hooked so far though. The last post was made 1 year, 195 days ago. Instead of replying here, would creating a new thread be more useful?